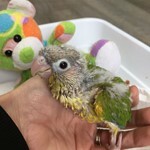 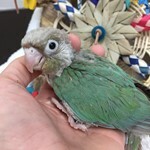 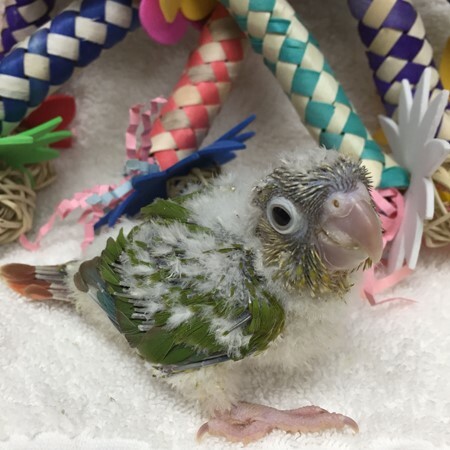 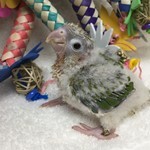 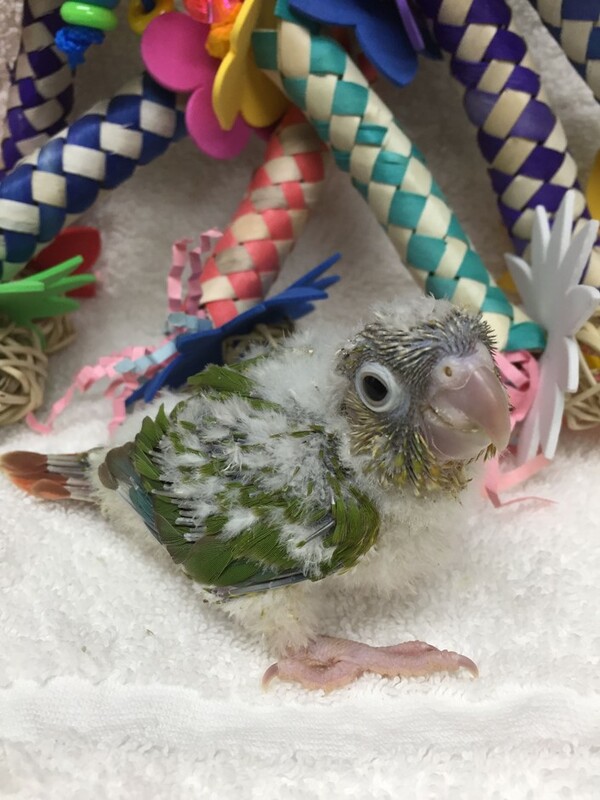 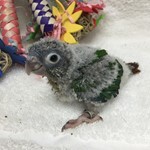 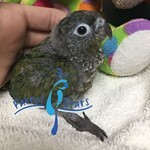 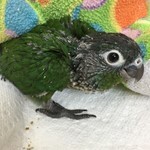 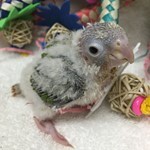 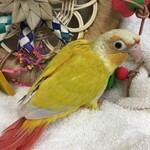 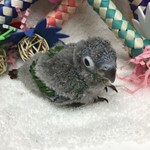 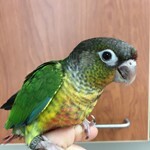 Pineapple Green Cheek Conure (Pyrrhura molinae) Available! 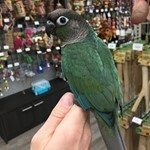 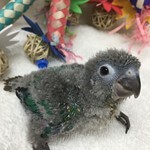 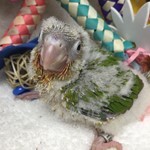 Green Cheek Conures are native to South America. 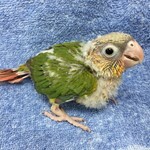 GCCs come in a wide variety of color mutations. 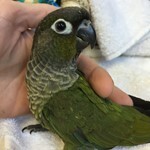 Green Cheeks are great family birds and are known for their loving, clownish and curious personalities. 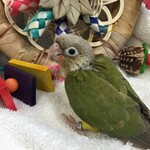 They are extremely playful and love to be out of the cage and with their human companions. 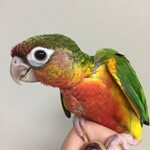 We consider GCCs a great "starter bird" they do not have an intense noise level and they are a great size. 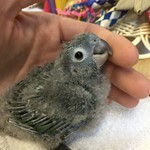 As with any parrot companion, training is required but we are here to help!! 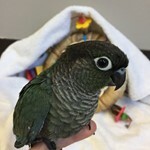 Ideally, the minimum cage size for this bird would be 25’’ long, 21’’ wide and 29’’ high with ½’’ wire spacing. 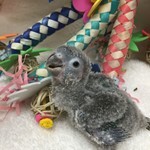 At Parrot Stars we focus on education, nutrition, and conservation. 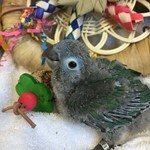 We work very hard to help educate our customers on parrot companionship. 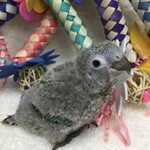 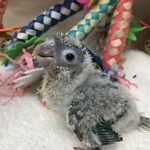 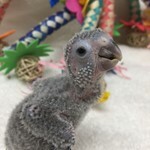 Prior to taking a bird home, we will provide information on proper housing, creating a safe environment, diet, behavior, hormones and much more. 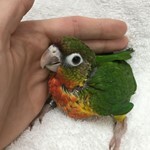 No question will go unanswered. 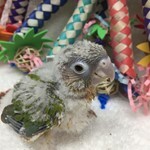 Every hand fed baby is weaned on to a high variety diet. 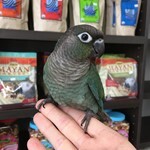 They are weaned onto fruits and veggies, a soak and sprout mix we make here in store, high variety seed that we also make here in store, and naturally colored pellet. 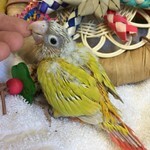 If you have questions regarding this baby, or any others that we have available, please give us a call! 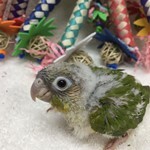 Feel free to follow us on Facebook @parrotstars for more pictures, videos and information.